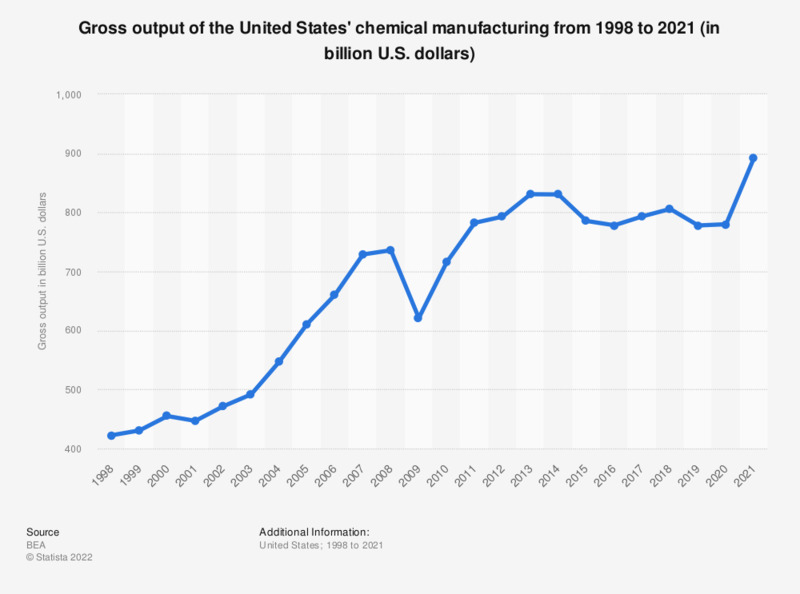 This statistic shows the gross output of the chemical products manufacturing in the United States from 1998 to 2017. In 1998, the gross output of this sector came to around 422 billion U.S. dollars. In 2016, the gross output stood at nearly 817 billion U.S. dollars. Figures have been rounded to the nearest 100 million.